Comfortable, spacious and supremely practical. Refined diesel engines. Plenty of modern technology. Expensive to buy. Other SUVs offer better value. Ride quality could be better. Deliveries significantly delayed by WLTP. 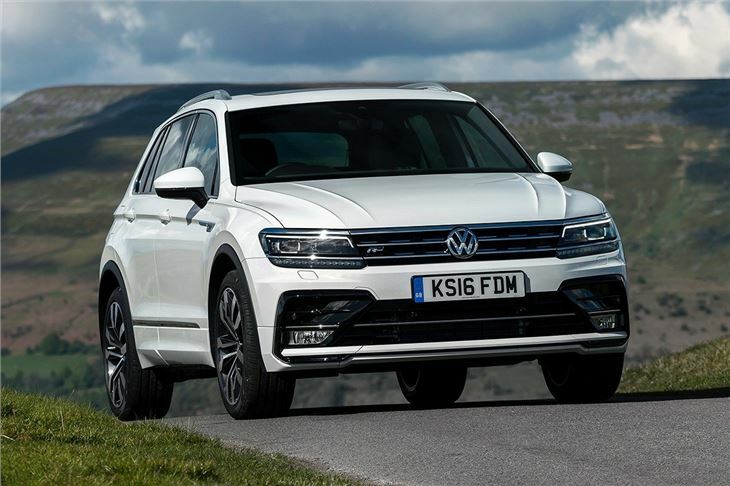 The Volkswagen Tiguan may be pricier than some of its rivals, including the closely-related, yet smaller SEAT Ateca. But it’s easy to drive, family-friendly and affordable to run. It's also available with some of the latest safety and convenience technologies and a wide range of engines. If you’re looking for a high quality crossover, it’s a great choice. The engine range includes three petrol engines with outputs of 125PS, 150PS or 180PS, plus four diesel choices with outputs of 115PS to 240PS. 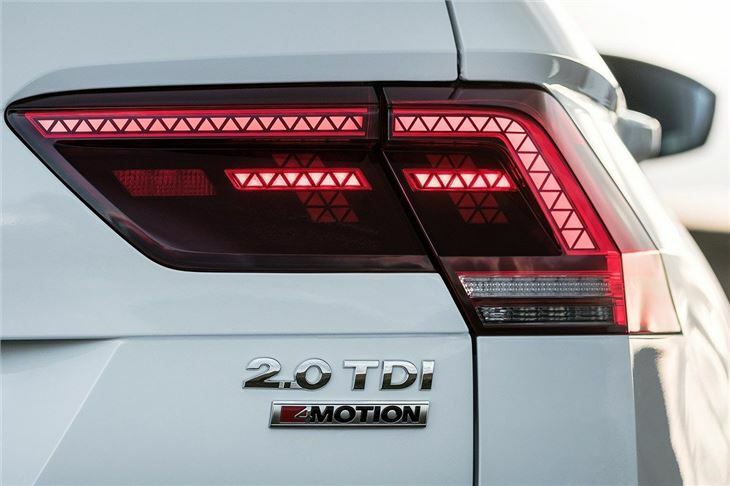 The 150PS 2.0-litre diesel will take the lion’s share of sales and it comes with front-wheel drive or 4Motion all-wheel drive and a six-speed manual or a seven-speed DSG transmission. 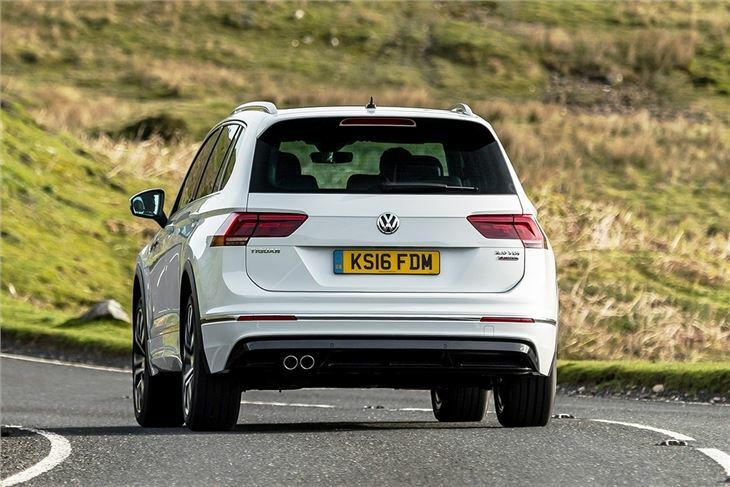 On the road the Tiguan boasts impressive refinement. The cabin is quiet and calm even at motorway speeds while the controls are nicely weighted. That said the suspension is slightly on the firm side. It’s always comfortable, but more severe potholes and bumps could be ironed out more smoothly. 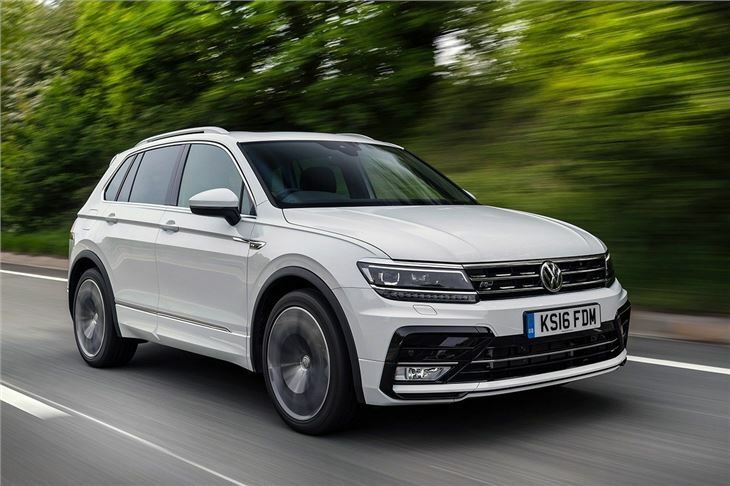 In the cabin the Tiguan feels as well-made as other Volkswagen models, with impressive fit and finish and plush materials. 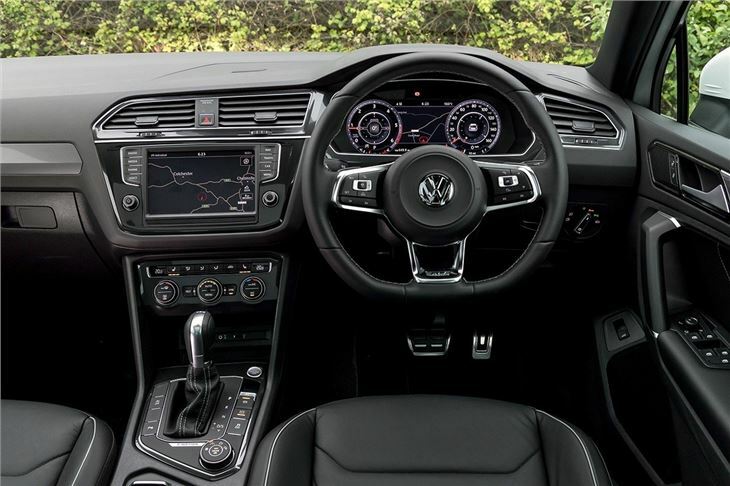 The centre stack and dashboard are simple and clearly laid out, plus there is a fully digital instrument cluster, similar to Audi's Virtual Cockpit, available as standard on higher trim levels or as an option lower down the range. 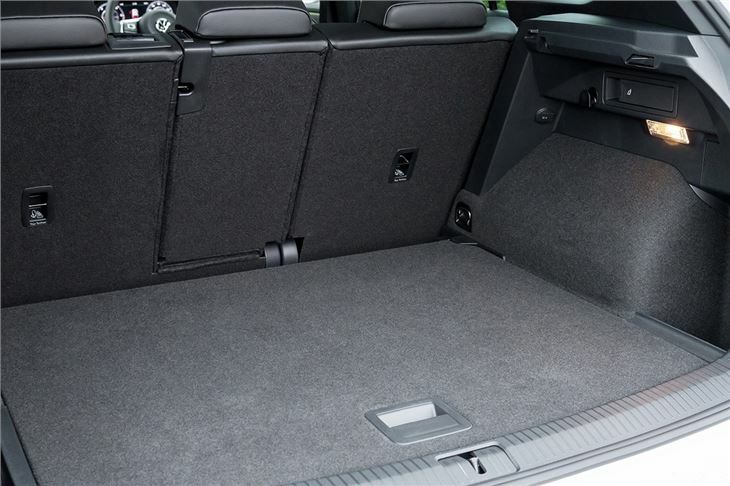 The back seats are spacious enough to seat adults in comfort, thanks to ample leg and headroom. The rear seats recline and can move forward and back too, so they provide real comfort. The boot is wide and has no load lip, while a capacity of 615 litres makes it easily big enough for pushchairs and shopping. It can be expanded to 1655 litres by folding the rear seats flat. Even basic S models come with an eight-inch touchscreen, DAB radio and Bluetooth, plus there’s lane assist, autonomous emergency braking, auto lights and auto wipers. SE models gain Apple CarPlay and Android Auto functionality, which enables smartphone screens to be mirrored in the in-car display, so apps like Spotify can be used safely on the move. 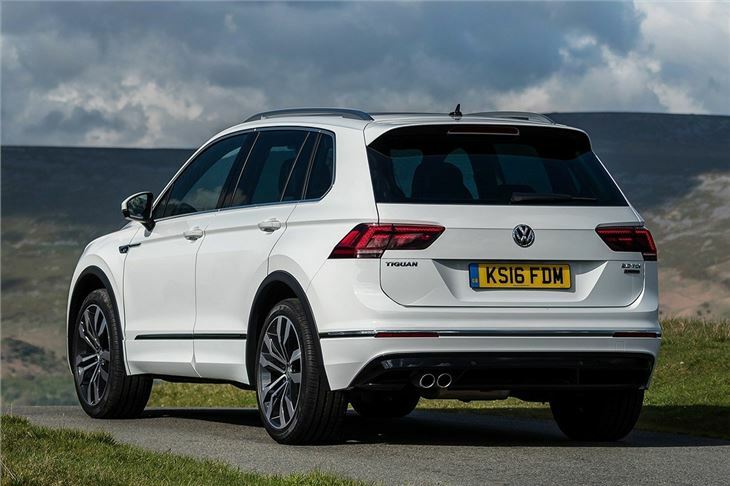 It’s difficult to find fault with the Volkswagen Tiguan, but its starting price is higher than rivals like the Nissan Qashqai. It’s also pricier than the SEAT Ateca, which has identical underpinnings. However, spending the extra for the Tiguan does bring a good level of technology and equipment, so it’s still very easy to recommend.